Oh hooray. Note that they NEVER give a breakdown whether it is landowners OR finders which are more "not in it fer the munny". Given the obvious bias of the way they present information about any aspect of metal detecting, I'd not be in the slightest surprised to find that it was landowners who are the more public-spirited in this respect. Though if they were public spirited, they'd keep archaeological knowledge pilferers with metal detectors off their land anyway. @TRegistrar what is percentage by VALUE (public pounds) of the non-claimed Treasure awards for (say) 2013 to 2015 to the thousands paid out? But as we know, and see, claquers of artefact hunting are rarely able to actually explain what it is they are applauding and why (Matthew Fittock maintains a confused silence). So don't hold your breath, Bloomsbury's "Learning and Audiences" department will probably turn out to not actually be there to answer any real questions of public interest. It is all part of Britain's Portable Antiquities Scam. @PortantIssues Impossible to know because some folks waive reward before valuation. Values of cases published in annual reports up to 2013. "We don't know because we can't be bothered to work it out to inform public opinion how much policies on artefact hunting are costing the public purse each year"? So, I wonder what Farmer Silas Brown thinks of landowners who "give up" their reward without being told what potential financial loss that involves. Is that transparency in any form? I'd have thought that if "The Searcher" magazine can manage to give market valuations for metal detector finds without calling a huge state-sponsored commission, the Treasure Unit could probably probably manage it too to properly fulfil their reporting obligations. "I wonder what Farmer Silas Brown thinks of landowners who "give up" their reward without being told what potential financial loss that involves." I'll ask his notionalship but I should imagine he'd say that sort of thing happening with Treasure items is merely the publicly visible tip of a very dirty iceberg involving hundreds of thousands of non-treasure items. Why else would the NCMD and FID model search agreements not specify that an independent valuer should be consulted, other than to keep the valuation solely in the hands of the financially interested finders, some of whom - who can deny it - will be financially interested fraudsters? Thanks for your little bit of Twitter dialogue. It was a bit like lifting the corner of a very brightly coloured carpet and revealing what's underneath. 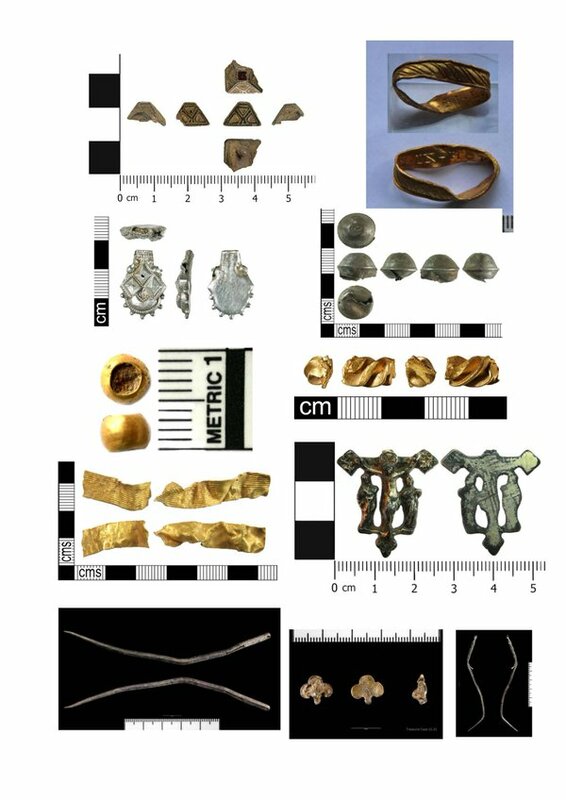 I think Silas will have something to say about it shortly, on behalf of all landowners who have never been offered an independent appraisal by a detectorist, (i.e. nearly all of them, judging by the finds agreements). All that remains to be seen is whether Silas can find an image of a dirty iceberg with a clean white tip. If there are any British archaeologiists or Treasure Registrars out there who can, please send it.